If you require tree maintenance for your property in Essex, speak to our tree surgeons today. Down to Earth Trees Ltd has spent years researching and working on the preservation of trees across the UK. We operate according to well-known arboricultural customs and the latest industry practices to protect the health of our trees. From consultancy to inspections, entrust your tree maintenance needs to us. 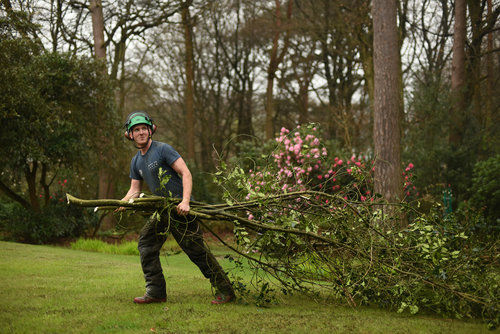 Tree surgeons are responsible for keeping trees stable and healthy. When there are unhealthy trees on a property, they can pose harm to the residents. They can also interfere with utilities if arborists don’t manage their growth properly. Handling these problems is not an easy feat. Although some homeowners might want to deal with the issues on their own, you can minimise any risks by calling a professional. At Down to Earth Trees Ltd, your needs are our priority. You can discuss with us your preferences, and we’ll suggest which services are best for your property. Keep your trees healthy and your property safe from harm with Down to Earth Trees Ltd. Call us on 01959 524 623 or send us an email at enquiries@dtetrees.co.uk for any questions. We’ll be more than glad to assist you.